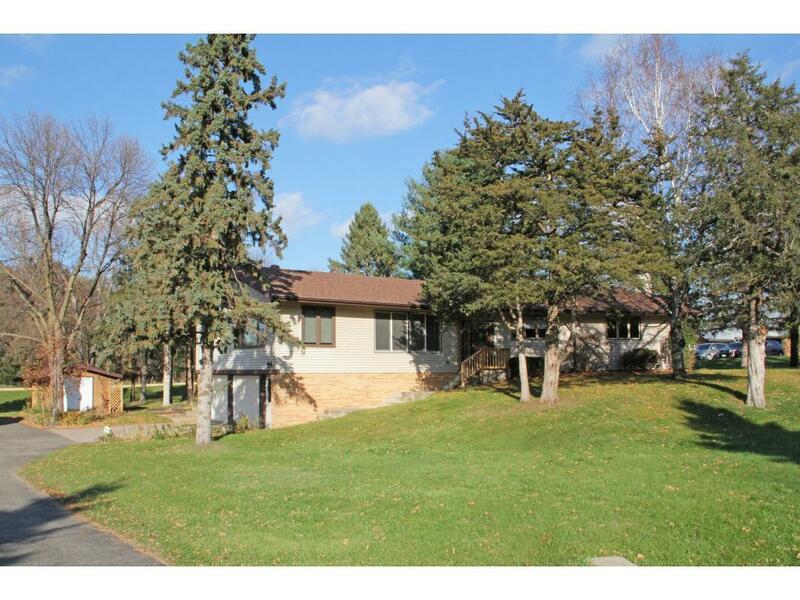 Nice roomy home on 2 acres located on a black top road. Main floor features 4 Bedroom,2 bath,eat in kitchen, formal dining, living room, laundry, family room with fireplace. Lower level with family room and recreation room. Two car tuckunder garage, 10x20 garden shed and 15x18 deck.Hardwood floors in kitchen, informal dining and main floor family room. Main floor bath recently updated and has dual sinks. Located approx 1 1/2 miles from town. See to appreciate.